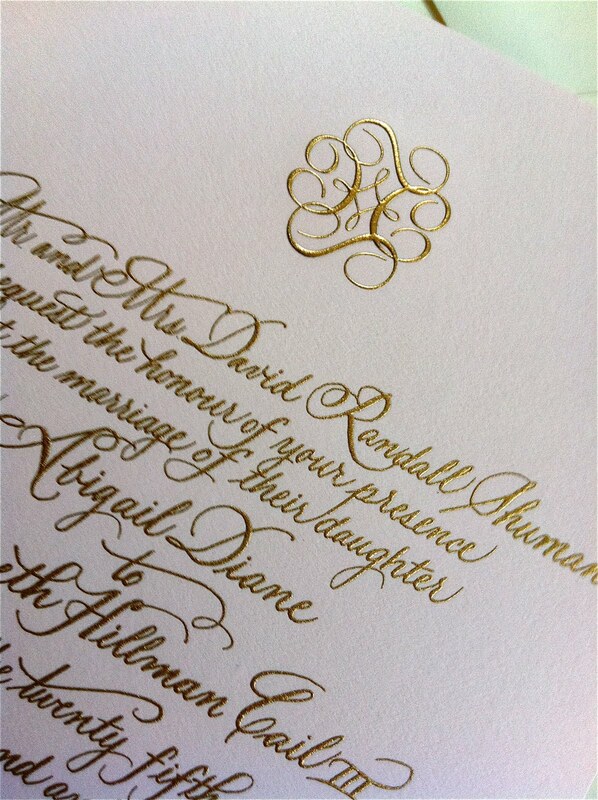 I had the honor of designing Abigail’s beautiful and stunningly elegant wedding invitations! 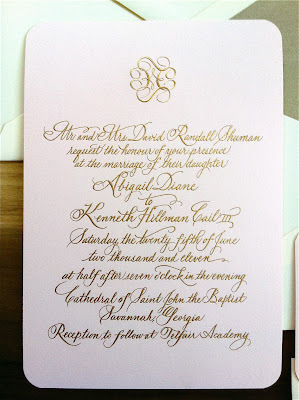 Abigail wanted traditional but with a twist. 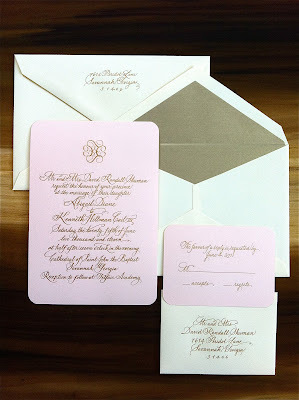 She fell in love with Crane’s blush pink paper – made popular by the Martha Stewart Wedding Collection. 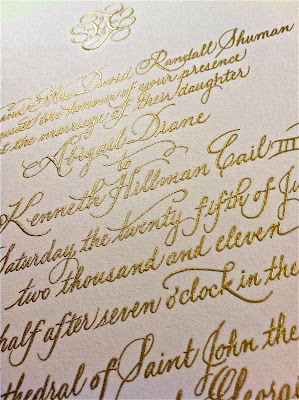 Abigail’s love of paper turned into a one-of-a-kind work of art designed by myself and calligrapher, Bride Whelan with assistance of La Paperie. 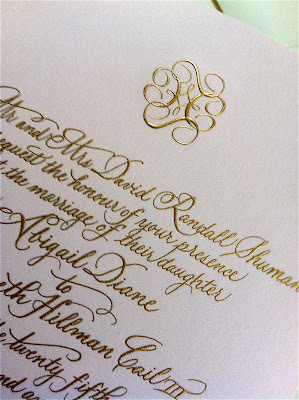 Bride developed the hand-written wording, while I concentrated on the custom wedding monogram that adorned the top of the A9 invitation with rounded edges. 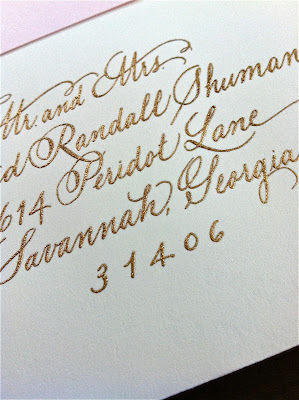 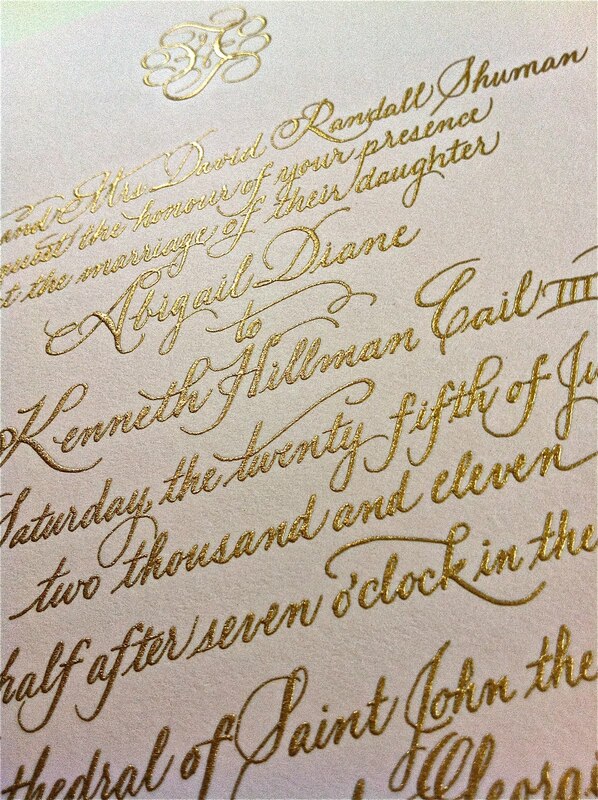 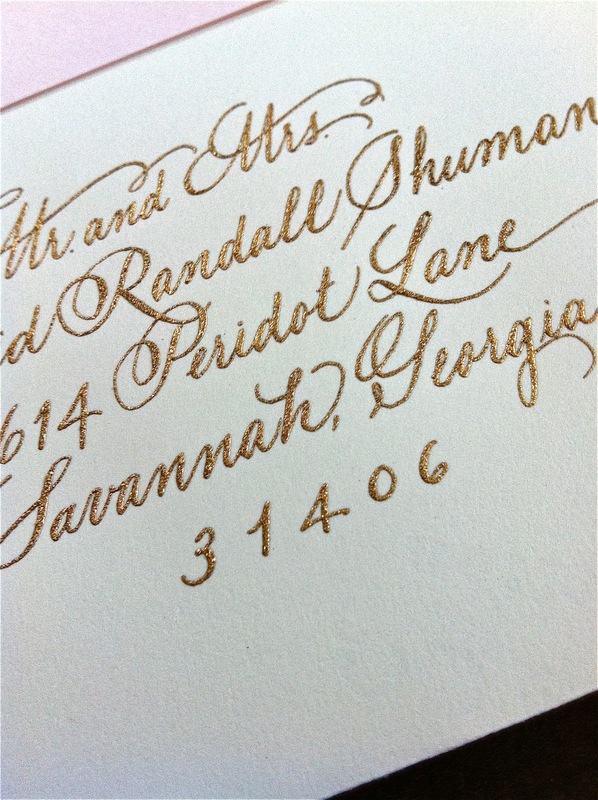 The artwork was engraved with gold ink and the ecru envelopes were lined in lustre gold.